Peak audience up by 500,000 compared with last year's final episode. Dalton Andre Harris' win on The X Factor on ITV attracted 7.5 million people at its peak last night (Sunday). The 2018 finale had a 31% share for a five-minute peak – the highest of the series and up by 500,000 viewers compared with 2017's final episode. 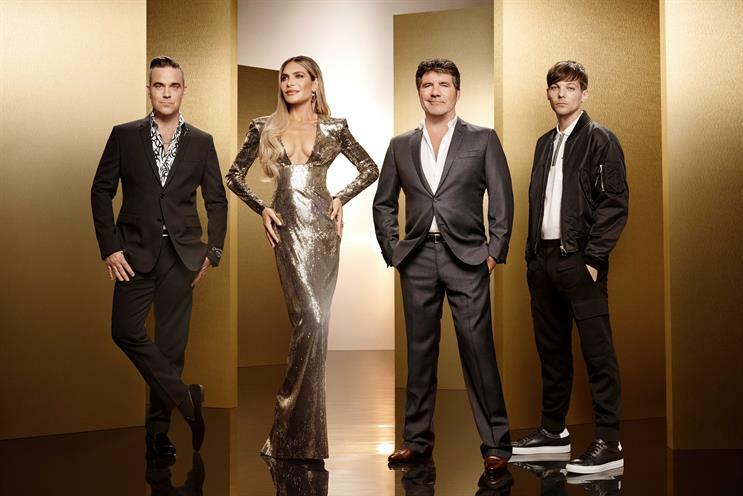 The X Factor, now in its 15th series, pulled in an average of 5.5 million viewers, or a 24% share of the total audience watching TV last night between 7.30pm and 9.00pm. Last year’s finale was watched by 5.2 million people, taking a 22% share. Harris fought off competition from Scarlett Lee and Anthony Russell to take the top prize. Last week, Campaign reported that the final show could bring in more than £10m in ad revenue over the weekend.